Whatever you're doing this weekend, check out Sporadic Reads and join her Weekend Readings. 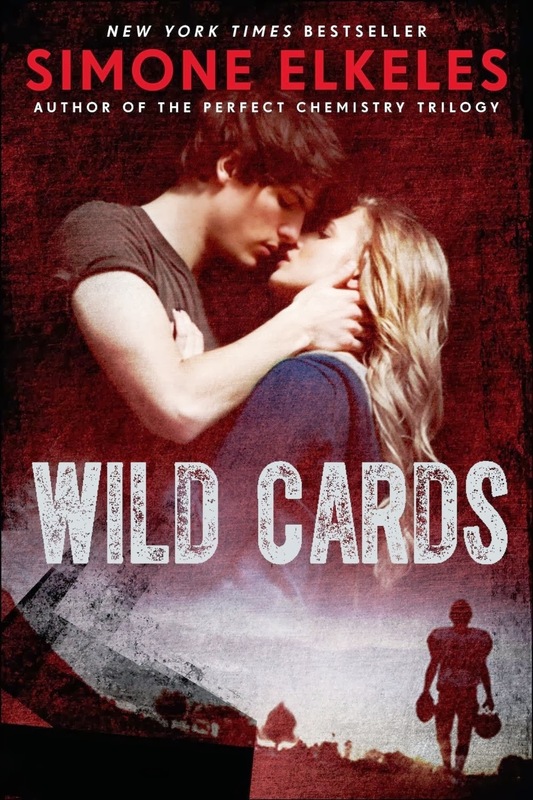 Wild Cards by Simone Elkeles. After getting kicked out of boarding school, bad boy Derek Fitzpatrick has no choice but to live with his ditzy stepmother while his military dad is deployed. Things quickly go from bad to worse when he finds out she plans to move them back to her childhood home in Illinois. Derek's counting the days before he can be on his own, and the last thing he needs is to get involved with someone else's family drama. Ashtyn Parker knows one thing for certain, people you care about leave without a backward glance. A football scholarship would finally give her the chance to leave. So she pours everything into winning a state championship, until her boyfriend and star quarterback betrays them all by joining their rival team. Ashtyn needs a new game plan, but it requires trusting Derek-someone she barely knows, someone born to break the rules. Is she willing to put her heart on the line to try and win it all? This was a good book! :D I enjoyed it minus the (problems) I had toward the stroyline. Hey Abby. I'm a bit hesitant and starting this one tonight. I didn't mind Perfect Chemistry, but I begun reading the second in the series, Rules of Attraction, and it felt like a carbon copy of the first book. I'm a bit worried that it'll use the same template. Fingers crossed that it doesn't. Hmmmm I'm keen to see what you thought of it, I enjoyed it at the start but it went downhill from there. Here's my STS this week. Did you enjoy Rules of Attraction Jeann? I'm hoping this one isn't the bad boy, good girl fall in love scenario again. Going by the description, it very well may be.